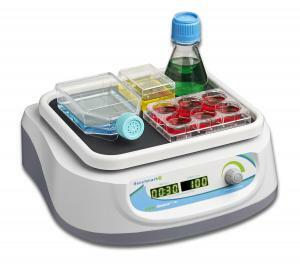 Orbital Shakers' circular, relatively low-speed, shaking motion, are suitable for culturing microbes (because of the low heat and vibration), washing blots, and general mixing. Next Day Science has a wide variety of orbital shakers for sale, ranging from large to compact, and in varying speeds and capacities. Digital orbital shakers are available as well, along with shakers that allow for differing sizes of containers. 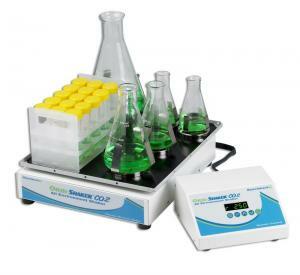 See the Features and Specifications of specific orbital shakers for more information. What is an orbital shaker? An orbital shaker is an important lab equipment that is used to blend, mix, or agitate materials in a vessel by shaking them. How does an orbital shaker work? An orbital shaker works by generating a circular shaking motion at a slow speed of 25-500 rpm. The shaker contains an oscillating board that hold the vessels as the device shakes to blend, agitate, or mix the substances in the vessels. Which applications commonly use an orbital shaker? 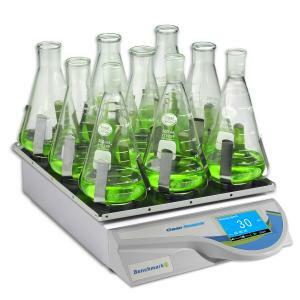 Orbital shakers are primarily used in the fields of biology and chemistry but feature in many other applications as well. 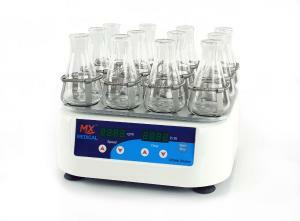 The instrument is suitable for washing blots, general mixing, and especially for culturing microbes, as it produces a low heat compared to other types of shakers. What's the difference between an analogue and digital orbital shaker? 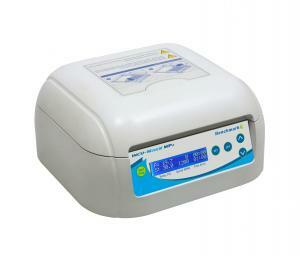 Analogue orbital shakers are much cheaper than digital shakers as they have more limited speed accuracy. Whereas, digital shakers usually contain extra features, like under/over temperature and speed alarms, or set point retention. Some analogue shakers may also require yearly maintenance, while most digital orbital shakers are maintenance-free. 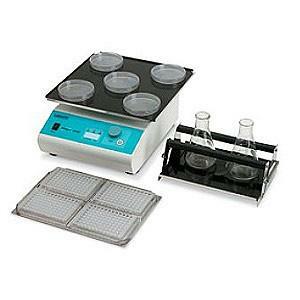 When is an orbital shaker better than a magnetic stirrer? 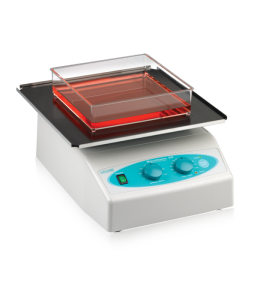 Although the magnetic stirrer has come to replace the shaker, the orbital shaker is still the preferred option when simultaneous agitation is necessary, or when working with large volume samples.